The initial planting of a set-up is a very important step that needs to be performed with the utmost care and precision. Especially in a Nature Aquarium, with whose layout you depict a piece of nature, careful planting is crucial. 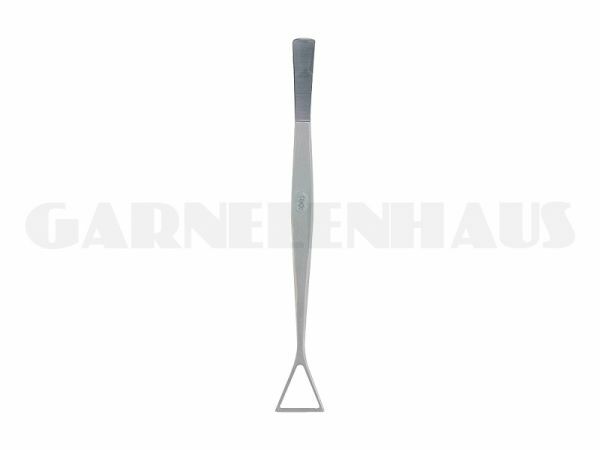 The tweezers by ADA have exclusively been designed for handling aquatic plants. They are made to precise standards, lie well in your hand and have an optimal springiness. The rather uncommon triangular form is ideal for holding larger plants or plants with tubers and for planting them in the substrate. Available in different sizes for all kinds of aquarium plants and different uses.